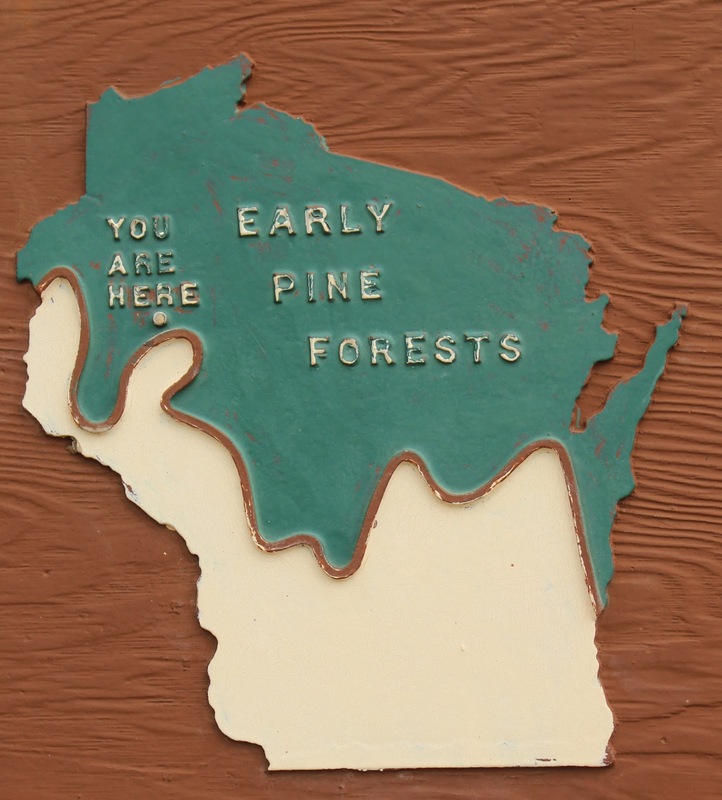 Vast forests of virgin white pine were the treasure which brought the first wave of white settlers to Northern Wisconsin. The farms came later, but for half a century the forests were local history. In 1847, the Knapp, Stout & Co. purchased thousands of acres of pinelands from the Government for $1.25 per acre. 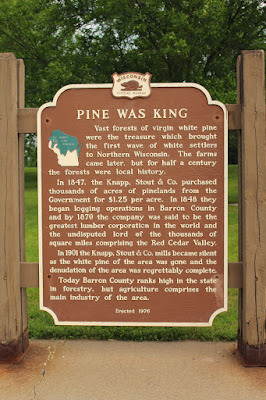 In 1848 they began logging operations in Barron County and by 1870 the company was said to be the greatest lumber corporation in the world and the undisputed lord of the thousands of square miles comprising the Red Cedar Valley. In 1901 the Knapp, Stout & Co. mills became silent as the white pine of the area was gone and the denudation of the area was regrettably complete. 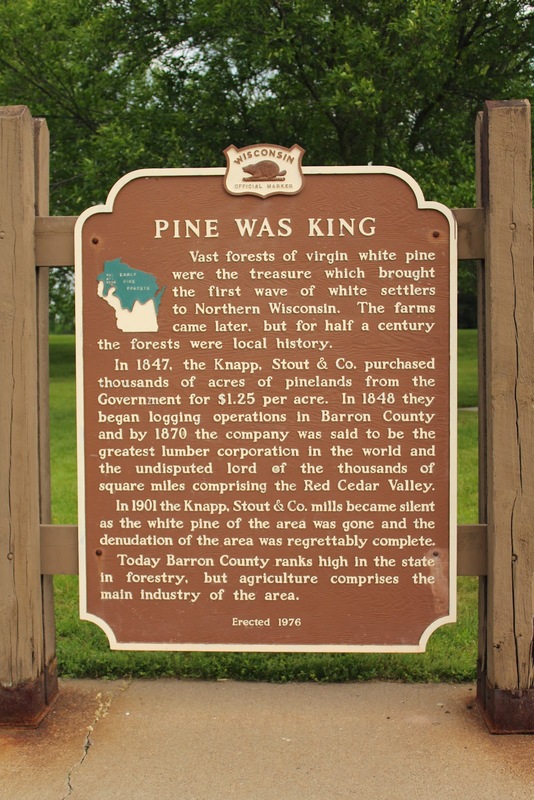 Today Barron County ranks high in the state in forestry, but agriculture comprises the main industry of the area. The marker is located at Rest Area 34 on northbound U.S. 53, 6.5 miles north of County Highway M, New Auburn, Wisconsin 54757.